Luca is a panda from China. 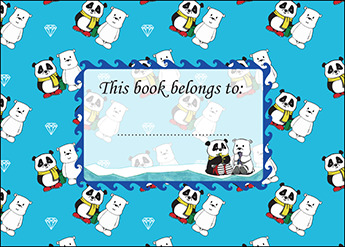 He is off on his travels around the world and meets a new friend, Artie the polar bear. They learn all about each other and how similar they are and become good friends. 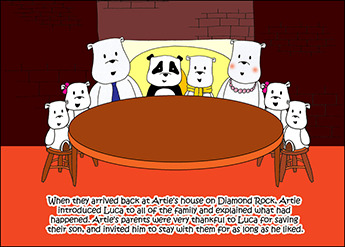 Luca even meets Artie's family on Diamond Rock. 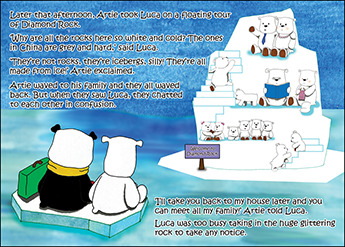 Join Artie and Luca as this adventure unfolds and they find themselves learning an important lesson about the dangers of water and ice. 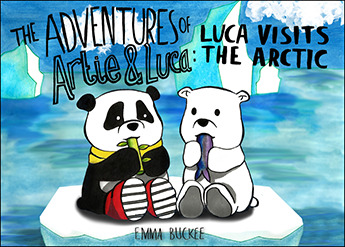 Emma Buckee has created a beautiful picture storybook that resonates with every teacher, parent and child. With striking illustrations, each page takes us on a journey learning about the similarities and differences between the much loved characters, Artie and Luca. Ultimately this colourful tale aims to teach every child about the respect that is deserved by others. It also goes one step further and highlights the dangers of water and ice. An important book, necessary in every home and school.